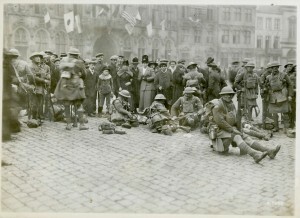 The Canadians captured the Belgian city of Mons on the last day of the war, 11 November 1918. In the final month of the war, Allied forces pushed ahead on all fronts. 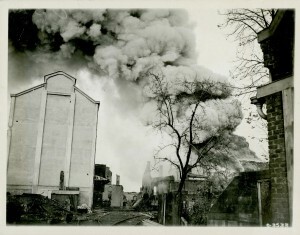 The Canadians, having more than 40,000 killed and wounded since August, closed on Mons, a city of huge symbolic value. From here, British troops had staged an epic fighting retreat in the early days of the war, delaying the Germans in their advance towards Paris but suffering heavily in the process. 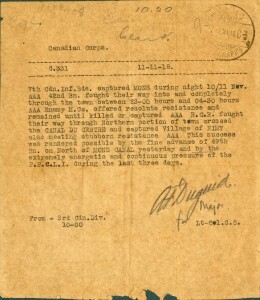 Now, the Canadians had a chance to capture Mons on the last day of the war. The German army, though beaten, fought a fierce rear-guard action as it retreated towards Mons. 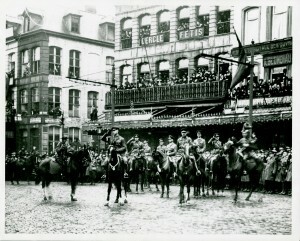 Canadian troops took Valenciennes after a costly two-day battle on 1 and 2 November, and by 10 November were on the outskirts of Mons. Rumours swirled that the war would soon be over, but General Currie had orders to capture the city, so Canadian troops fought their way through on the morning of 11 November. 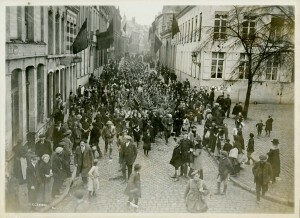 Belgian civilians greeted them as liberators. 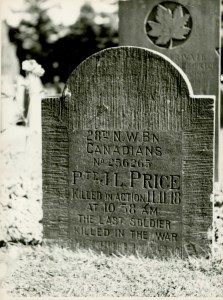 The last Canadian soldier to die in combat in the First World War was Private George Price of the 28th Battalion, killed by a German sniper northeast of Mons only a few minutes before the Armistice. 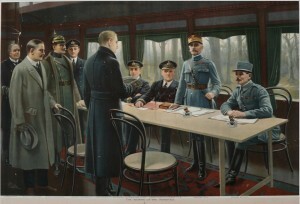 The war ended at 11 a.m. on 11 November 1918. 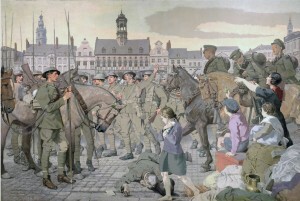 This painting captures Belgian civilians and Canadian troops celebrating in the town square at Mons, a short while after the city's liberation. The dead German in the foreground is evidence of the fierce fighting that raged in and around Mons for two days prior to the Armistice on 11 November at 11 a.m.